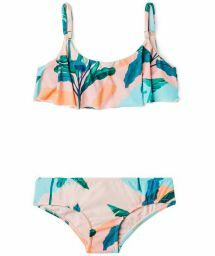 Whether you have signed up for baby swim classes or are just taking your infant for a dip in the kiddie pool, Brazilianbikinishop.com has the baby swimwear for you. 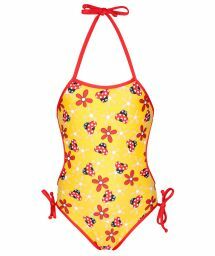 The options for baby swimwear on offer range from one-pieces and bikinis with stylish geometrical patterns, such as polka dots with a fancy fringe, to those displaying vibrant and fun cartoons and animal imagery. Made from comfortable yet durable materials such as Lycra®, this baby swimwear easily rivals the chic designs to be found in Mommy's swimsuit collection. Some excellent complements to this baby swimwear include sunscreen and a sweet pair of shades! 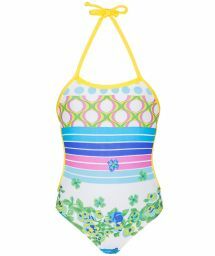 Your little one deserves to swim in style! Browse our baby swimwear for the season's chic-est bathing suits. 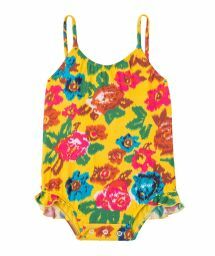 From baby bikinis to tiny trunks, we have the baby swimwear you need to outfit your child for swim season.